An ex-army officer Kabir (Zaheer Iqbal) comes back to Kashmir to be a school teacher. However, things turn out to be totally opposite of what he had imagined. The school is situated in the middle of the remote Wuller lake, lacking basic amenities like running water and electricity and is attended by just a handful of students. This is not what Kabir had signed up for. 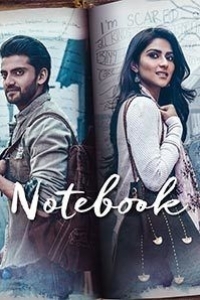 Things take a turn when one day Kabir finds a notebook, left behind by the previous years teacher Firdaus (Pranutan Bahl). What follows is what happens to Kabir after the discovery of this special notebook. Fantastic movie with simple & superb story..hard to believe that its debut movie for Zaheer iqbal & Pranutan..Wud love to see this pair in many more movies..And may both the actors scale great heights in years to come cos they deserve it..